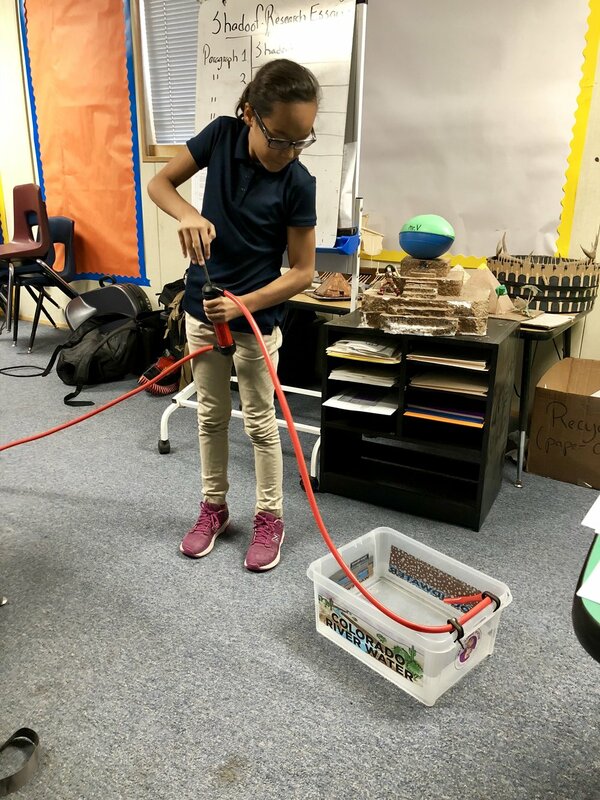 Welcome to Watching Our Water, a three-part water education program for 6th-8th grade students about the intricacies of Tucson's unique water situation, focusing on water sources, the water cycle, recycled water and water conservation. It includes a pre-visit video, a hands-on and interactive classroom presentation (designed to fit into a typical 50-60 minute classroom period), and a post-visit lesson. Each student receives a free shower timer and flow rate bag (used in the post-visit lesson), and has the opportunity to request a free low flow showerhead. The presentation and related lessons are aligned with ADE standards. Watching Our Water is sponsored by Tucson Water and offered free of charge to Tucson-area schools.